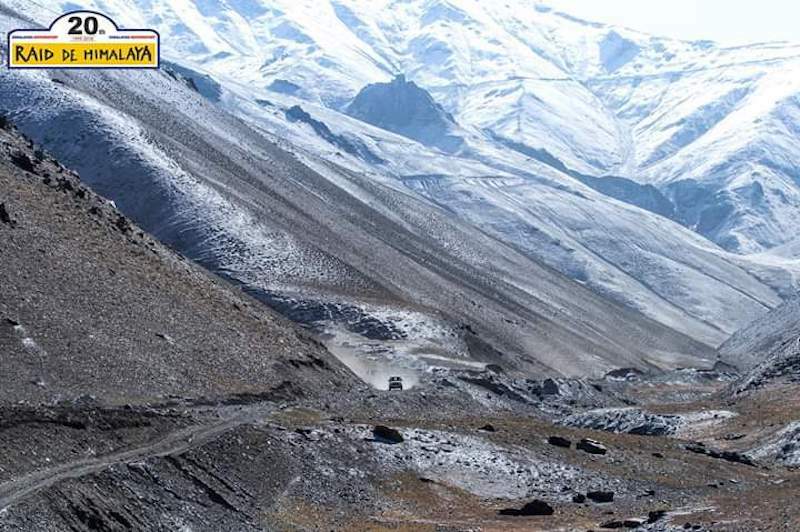 The Raid de Himalaya is so tough, only 25% of entrants are expected to complete what is the highest, and one of the hardest, rallies in the world. 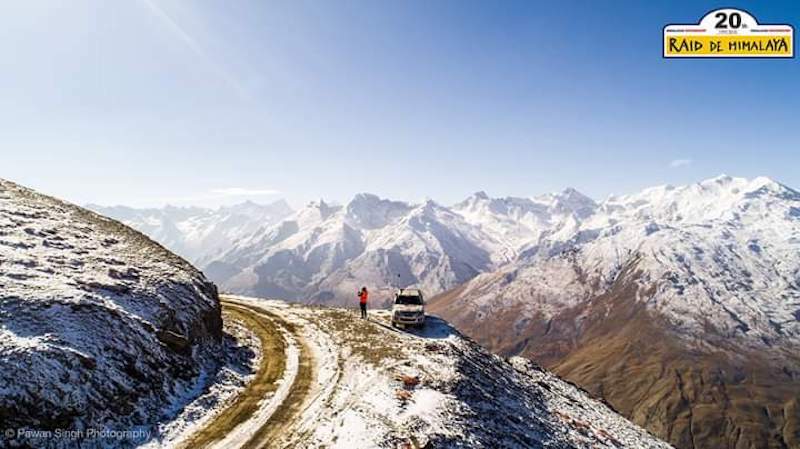 For the past 20 years, riders and drivers have contended with blizzards, earthquakes and icy roads, as they race 4×4 vehicles, quads and motorbikes for up to six days in the remote wilds of India. Undeterred by the extreme nature of the challenge, adventure bike rider Sue Bull signed up for the event. 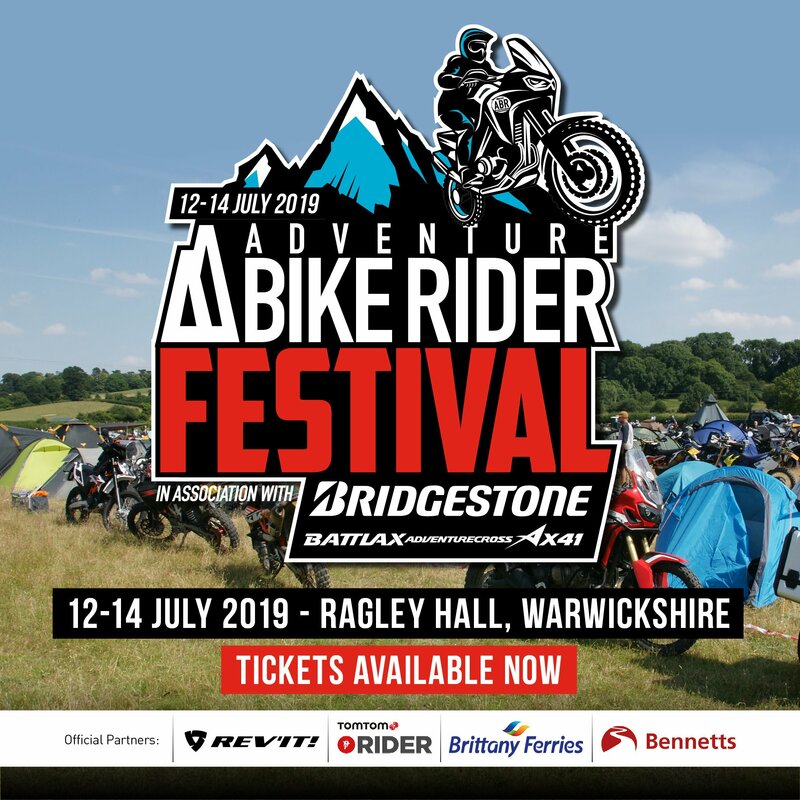 In doing so, she became the first British woman to enter the competition, finishing 24th overall out of 65 bikers after 750 miles of gruelling riding. We caught up with Sue about her experience as a competitor in last year’s rally. 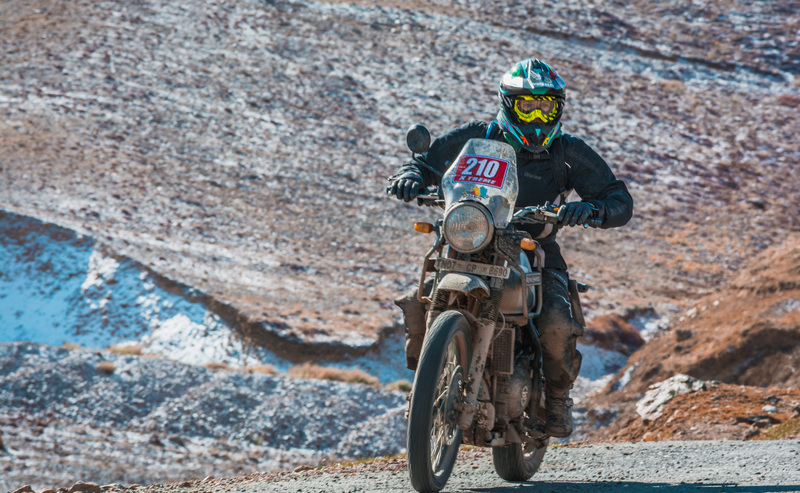 ABR: Tell us what the Raid de Himalaya is all about. 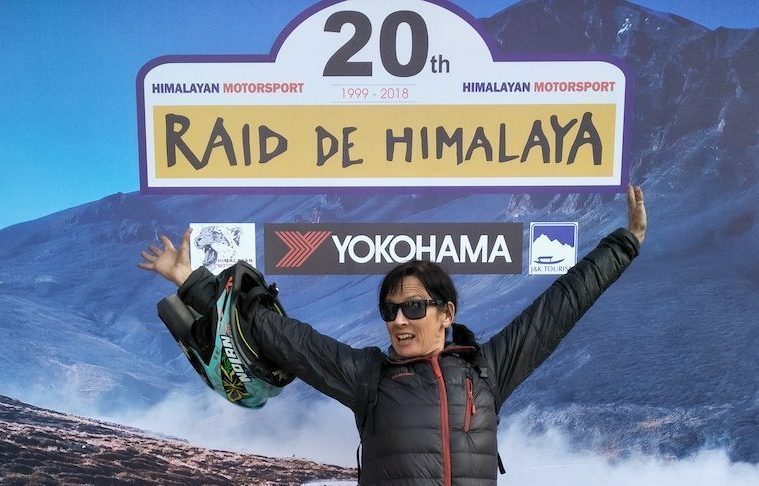 Sue Bull: The tagline for the Raid de Himalaya is ‘making grown men cry ever since 1999’ and after competing, one can totally understand why. The requirements listed on the website for potential participants include ‘a chromosome descended from Genghis Khan’ and ‘certifiable insanity’. Obviously, this is to be taken with humour, but it gives you an idea of what to expect. Only 25% of participants are expected to finish and some years only about 20% actually do. It’s the highest rally raid in the world and has been running since 1999, this year being the 20th anniversary of the event. It is the toughest rally in India, and one of the hardest in the world given the combination of elements you have to compete in. The organisers have had to contend with blizzards, earthquakes and snow storms over the last 20 raids. From 16 participants in 1999, the rally grew to 129 teams in October 2018, competing in cars, bikes and quads in different categories. I became the first British woman to complete the rally and the first to get a podium place – second place in Group D which is Indian stock bikes. In fact, only five women have ever participated and finished. ABR: Is it really that tough? SB: What sets this rally apart are the conditions that you face every day. 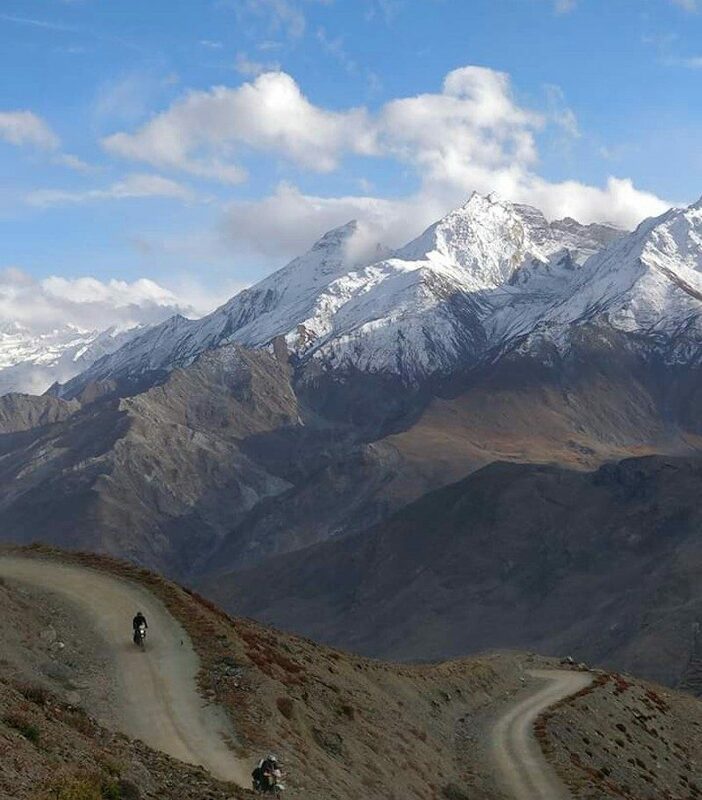 The race starts in Leh at an altitude of 3,500m and most days you are riding at 4,000m altitude or above. The last day sees you racing over a mountain pass of nearly 5,500m. Acclimatisation before the race is of the utmost importance. Altitude sickness at night or during the race has forced many a participant to quit in the past. Then there’s the question of the elements. The rally takes place in October which means freezing temperatures. Starting in the early hours of the morning each day means contending with temperatures well below zero. On the first day, we raced in falling snow on icy roads. It was a sign of things to come. The coldest day we endured was between -16C to -20C. The adrenaline somehow keeps you going, but it’s a nightmare for your hands. Most days, after leaving parc fermé at around 6.30am, I would stop somewhere near to the start of the race stage and find some locals who had made a small fire by the side of the road. I’d join them for a few precious moments just to try and thaw my hands enough to be able to race. Lack of sleep also accumulates over the days of the rally. You are on the bike for anywhere between 10 to 12 hours a day. You then collapse into bed at the end of the day for a few short hours of altitude disturbed sleep, before the alarm goes off around 3am to wake you up for the next day’s challenges. Each day is harder than the last, especially if you have fallen. You are nursing a tired and aching body due to long hours of racing and concentration. Believe me, the mental strength needed for an event like this is as hard as the physical strength. Most days are definitely a love/hate relationship. ABR: What made you want to do something as difficult as the Raid de Himalaya? SB: I truly believe that life is for living. If you get the chance to do something like this, then grab the opportunity whilst it’s there. Riding a bike or doing a rally is not about your age, gender or nationality. You are competing mostly with yourself and your own inner strength to finish. It’s about pushing your own boundaries and whilst sometimes it can scare the hell out of you, it awakens all your senses and makes you feel alive. And, if you can inspire more people to live their dreams, or just try something different in life, then that’s even more motivating. 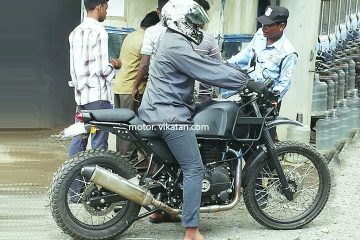 ABR: How did the Royal Enfield Himalayan perform? SB: I didn’t have much money, so I couldn’t afford a new bike. I also knew the Royal Enfield Classic 350 I owned at the time wasn’t ideal. 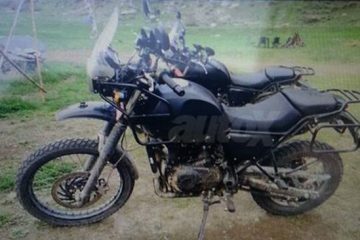 So, the best I could manage was to procure a Royal Enfield Himalayan bike for the race. Even though it is not a fully off-road bike, the suspension was way better than mine, so it was a good option with the resources I had. The bike actually performed fantastically in the cold temperatures and at high altitude with no complaints. Participating on a fully stock bike is not an easy task, but it did me proud. Unfortunately, I didn’t realise you’re allowed to change the tyres on the bike, otherwise this would have helped, especially cornering or in the snow. 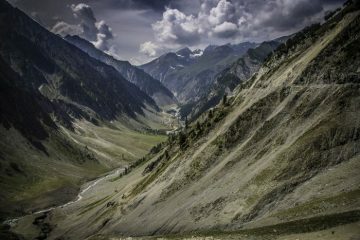 ABR: What was the most difficult part of the Raid de Himalaya? SB: Simply getting there was a challenge. 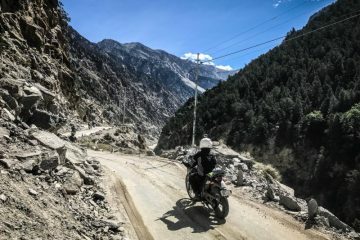 Not being a factory rider or having limitless funds, I had to ride over 600 miles just to get to the start line in Leh. It normally takes two days from Manali, but because of unseasonal heavy snow fall, all the passes were closed and I had to take a longer route, which was double the normal distance. I faced a traffic jam of between 3,000 to 4,000 trucks in Jammu and rode through very sensitive areas in Kashmir. This was a big adventure in itself. Luckily, I was not alone and rode with three other guys who were also competing in the rally. They became friends for life. I guess one of the hardest parts of the actual race itself was the third day. 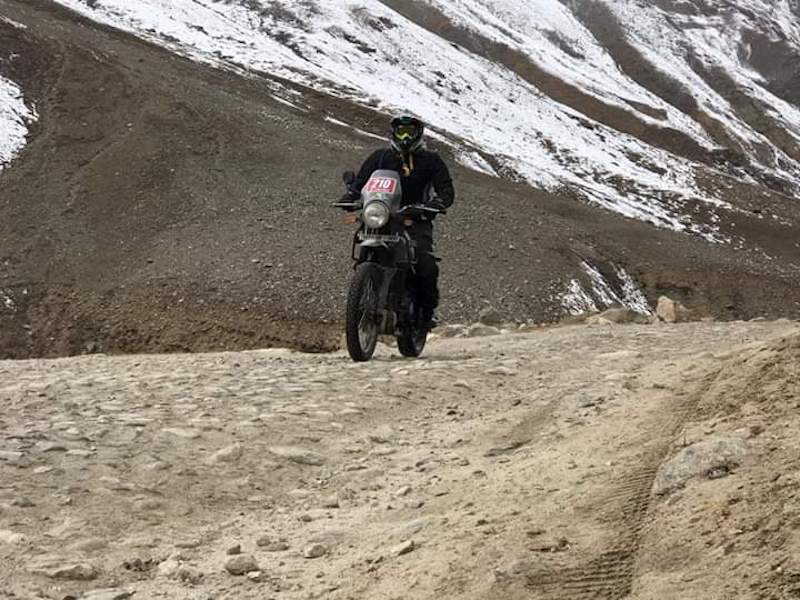 The special stage was 35 miles over the Umba La pass with more than 50 hairpin bends, huge drops off the side, and it was at an elevation of nearly 5,000m. It had snowed the night before so, as the elevation increased, so did the snow and ice on the road. It was a single lane, rocky, muddy and snow-covered track for the most part. Nearly all the riders came off their bikes, some more than once. I was lucky I guess and only dropped my bike once. Picking up a 190kg bike is hard enough, but in those conditions it became all the more difficult. It’s the adrenaline that keeps you going. However, I managed to injure my wrist which became increasingly painful. There was no serious damage, but it was my throttle hand. 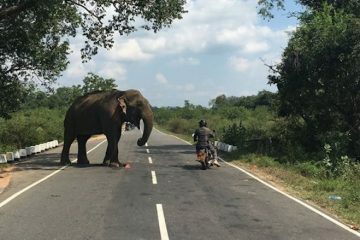 In normal life this would be ok as you could just finish your ride and rest. 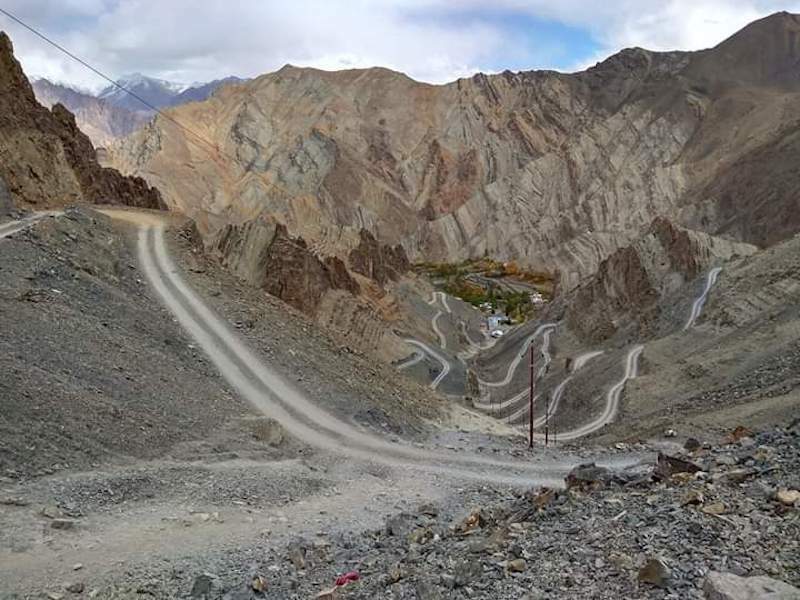 But after completing the race stage, we had to ride a further 170 miles to get back to Leh. It was the longest day of the race in more ways than one. 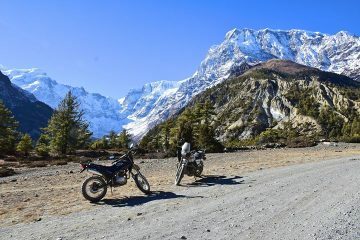 ABR: Would you ever enter the Raid de Himalaya again? SB: It definitely was one of the toughest things I have ever done, but I will participate again this year if I get the chance. If I can ride a lighter bike with better tyres, I’d like to push myself to do even better. As for other challenges, I’m open to anything. I want to do some longer rides taking in a few countries and to more remote places.